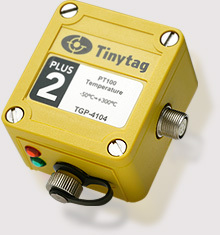 Tinytag from Gemini Data Loggers: robust environmental monitoring solutions. Tinytag Connect manages data from Tinytag Radio and Ethernet data loggers. Information from multiple monitoring points can be accessed by users on a LAN. New Tinytag Instrumentation range of voltage, current and count loggers: for use with third-party sensors, ideal for recording pressure, flow-rate, rainfall etc. We are pleased to announce Tinytag Desktop Viewer software, a useful new tool for users running a Connect Radio/LAN data logging system.